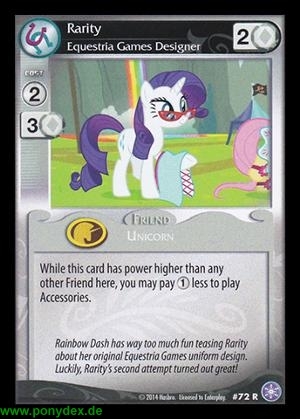 While this card has power higher than any other Friend here, you may pay 1 action token less to play Accessories. Rainbow Dash has way too much fun teasing Rarity about her original Equestria Games uniform design. Luckily, Rarity's second attempt turned out great!